Miltonias orchids, these orchids are also often mistakenly called pansy orchids because it said to resemble the brightly colored flowers of the same name.Miltonias are considered one of the easiest plants to cultivate because they can be successfully grown either in greenhouses or inside a regular house. They provide the one of the greatest smelling flowers of all of the species of orchids. These plants can grow up to 50 centimeters in height and the flowers can have various colors ranging from dark purple to white.Its fragrant flowers can last up to 4 to 6 weeks in bloom. These plants are truly one of the more enticing types of orchids in terms of color and fragrance. 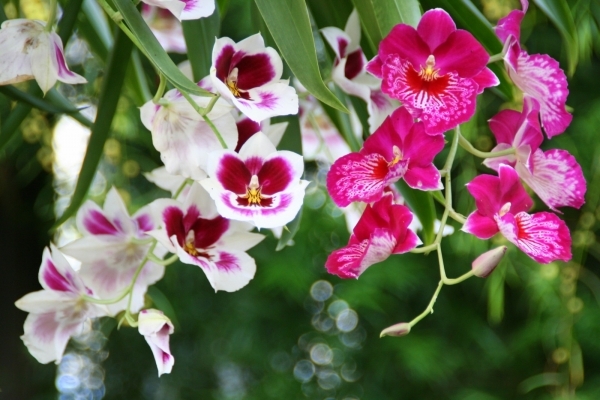 A healthy orchid not only ensures the beauty of the flowers, but it also helps produce the plant’s best fragrance. Miltonias are famous for their colorful and fragrant flowers. To get a great smelling flowers, Provide them some good source of nourishment like fertilizers that are rich in nitrogen. Feed them B52 Fertilizer Booster, with essential B vitamins and hormones, increases the plant metabolism of my orchids and strengthens their immune systems. Make sure you flush out any salt residue that may burn your plants and damage the roots. Thread contained good information about this flower. Really beautiful photo, I only wish you would have uploaded a bigger one. Its a bit small at the moment Have you edited the photo afterwards? Like colours or levels or is this how it came out?